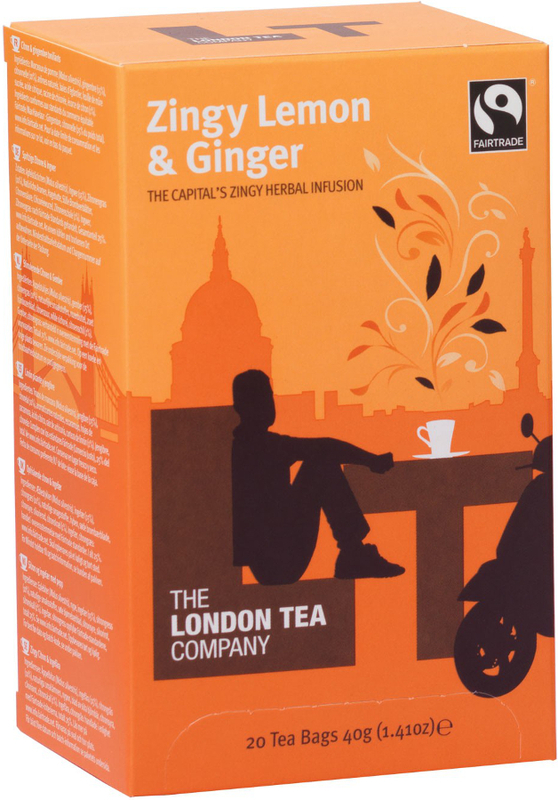 This zingy lemon and ginger tea is a superb blend from the London Tea Company that’s perfect for pampering yourself with. This tea is teeming with natural flavourings, with a tasty blend of apples, lemongrass, ginger and lemon peels, as well as rosehips, blackberry leaves and roasted chicory root. All this mixed together and lovingly brewed creates a truly flavourful treat. There’s nothing artificial about these flavourings, plus these bags are completely free of additives. London Tea Company are experts on what makes a good brew, and believe the secret lies within the high-quality, FairTrade ingredients. The London Tea Company Fairtrade Zingy Lemon & Ginger Tea - 20 bags product ethics are indicated below. To learn more about these product ethics and to see related products, follow the links below. 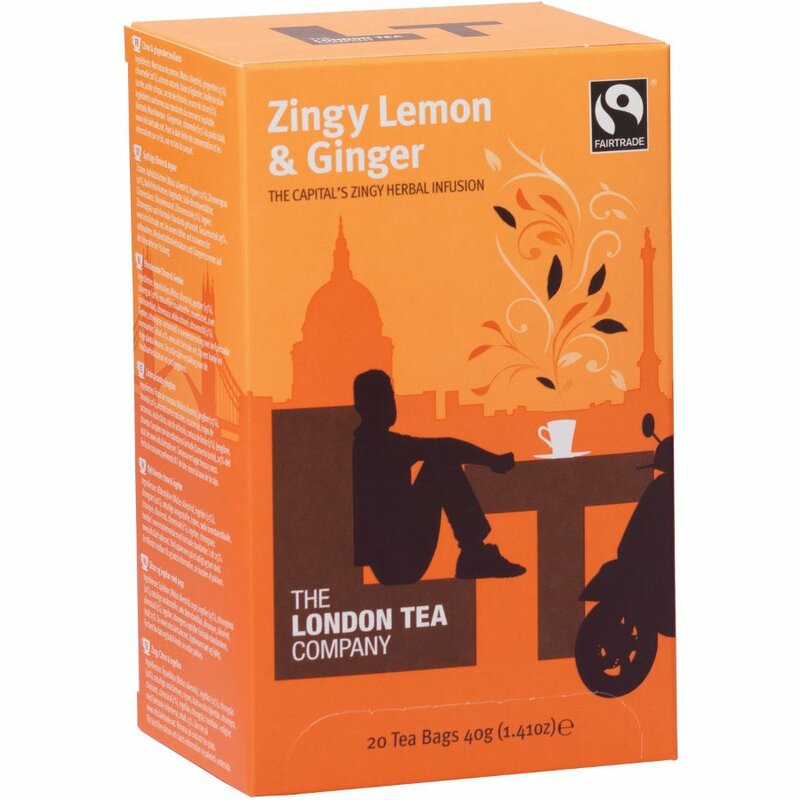 There are currently no questions to display about London Tea Company Fairtrade Zingy Lemon & Ginger Tea - 20 bags.